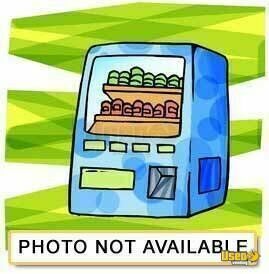 Automatic Products AP LCM2 Snack Vending Machine for Sale in New Jersey! 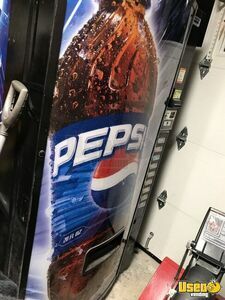 For sale in New Jersey- this is a year 2000 electronic glassfront snack vending machine- model AP LCM2 by Automatic Products. Great quality, great condition. 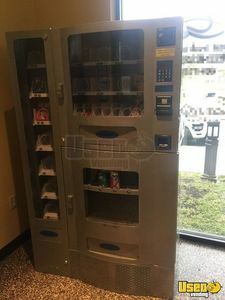 2009 Office Deli Combo Vending Machine for Sale in New Jersey! 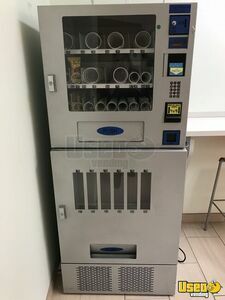 2009 Antares Office Deli combo snack, drink & entree vending machine for sale in New Jersey. Manual will be included. See details for specs. 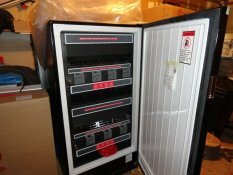 Dixie Narco VE962 Electrical Soda Vending Machine for Sale in New Jersey! 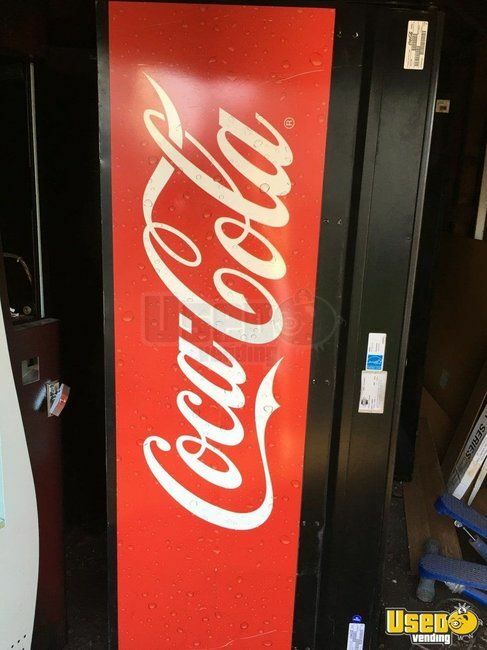 For sale in New Jersey- this is a Dixie Narco VE962 canned soda vending machine with 8 selections. Very good condition. Accepts dollar bills & coins. 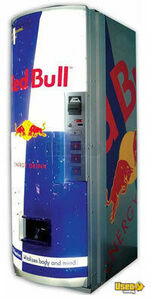 These machines vend 3 selections of the very popular Red Bull energy drink. They have never been used, and are still in original packaging. Seller is original owner. 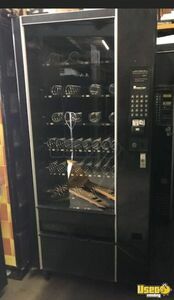 (1) - Snack Shop 7000 Electrical Snack Vending Machine!!! 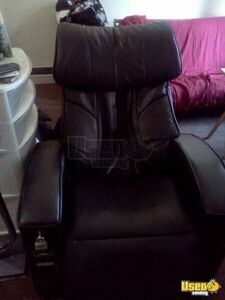 Has 40 snack selections and is in good condition. 7 shelves , Holds 641 Units. 35-40 candy & chip selections, mint & gum. Standard 110 volt. Dimensions: Height 72, Width 38 7/8, Depth 35. Accepts Dollar and coins. Coin Mech and bill acceptor included. 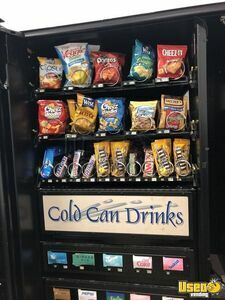 Your help in finding us a great vending machine was absolutely terrific. The fire company is ecstatic. Calice made me feel confident that I dealt with professional people. I had a wonderful experience with the purchase of anteres machine through usedvendning company. Calice made me feel confident that I dealt with professional people. Calice is very professional, organize, and above friendly person who cares with whom she does business with. Thank you so much foe wonderful experience, I will use your service in the future if I need to purchase more equipment. 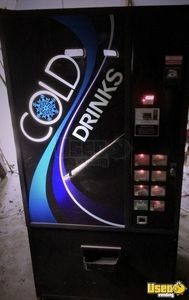 I will also recomand Calice's outstanding service to anyone interested in vending product. Thank you so much, and keep up the great service . It took all of 14 days to sell my machines, at my price, and have them picked up. 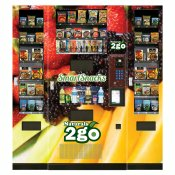 I fully endorse the use of USEDvending.com: They are incredibly professional, organized, and most importantly they know how to sell your used machines. I had several machines I wanted to sell. I was no longer able to continue with the business and wanted to recoup some of my expenditures: I had these machines up for sale on various other sites that were known for selling items quickly; quickly being the optimum word. They sat and sat and sat some more generating very little interest, none of which was at all serious. 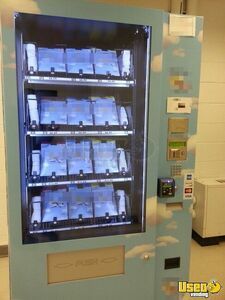 Then I found USEDvending.com, and listed my machine with them. I set up an account, listed the items, all of which took a few minutes, and then USEDvending.com did all the rest. It took all of 14 days to sell my machines, at my price, and have them picked up. 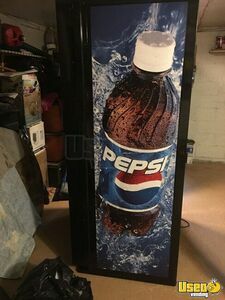 Would I recommend USEDvending.com? Anytime, Anywhere, Anyhow! Their step by step buying process works right down to the delivery date. I've done business in the past with Mega Vending and will continue to. Their step by step buying process works right down to the delivery date. They'll also assist you in which machine would most suit your needs. April was most helpful, honest and always there when I had any questions. I recommend MegaVending and April very highly, Keep up the great buying experience!!!! Calice, I lack words to express my thankfulness for the great job you did by selling my used vending machines at the least possible time. Your greate salesmanship is appreciated. 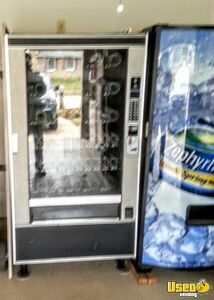 Thanks Melissa for making our 1st experience with www.UsedVending.com so simple and pleasurable. It was a great dealing with you and your seller. I will be using your company again in the future and I look forward to a long, mutually beneficial relationship. April, is very helpful, amd really knows machines. She is very honest and trustworthy, not like other distributors that give vending a bad name. April is very sweet and very nice to deal with. I brought several machines from her and she is very professional. She is also willing to negotiate on the prices of the Machines unlike some cut and throat sales people We have come across in the past. She is prompt in her sales inquiries and knowledegable on the Machines. Dealing with April was a pleasure- she was always up front and truthful through the entire deal. 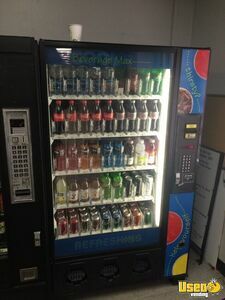 The soda machine has saved the company and employees big bucks- whcih equals great morale. Its the small things that make a difference in business deals and Mega Vending understands that. Thanks April.